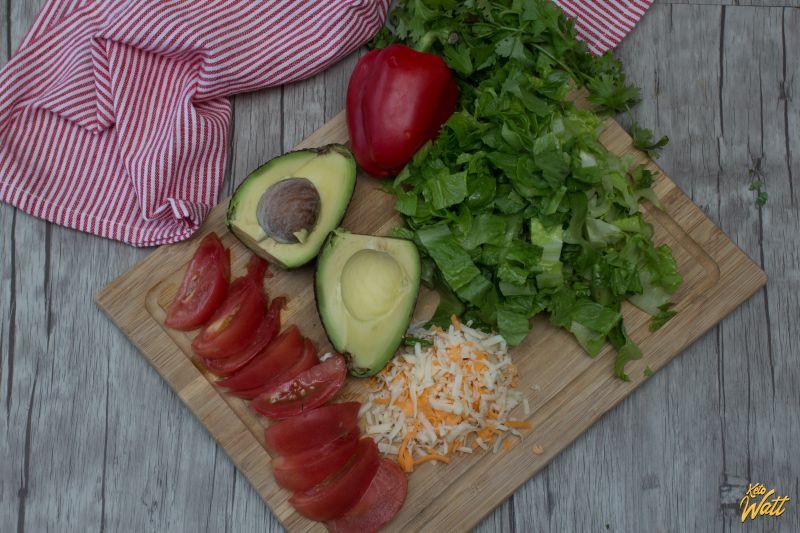 Forget the tacos that break in pieces: serve them deconstructed to make a crisp and fresh salad! What's great about this salad is that you can prepare the ingredients in advance and assemble them when you ready without any problem. So it's perfect for lunch or to make the day before for dinner the next day when you know that it’s going to be a busy day. 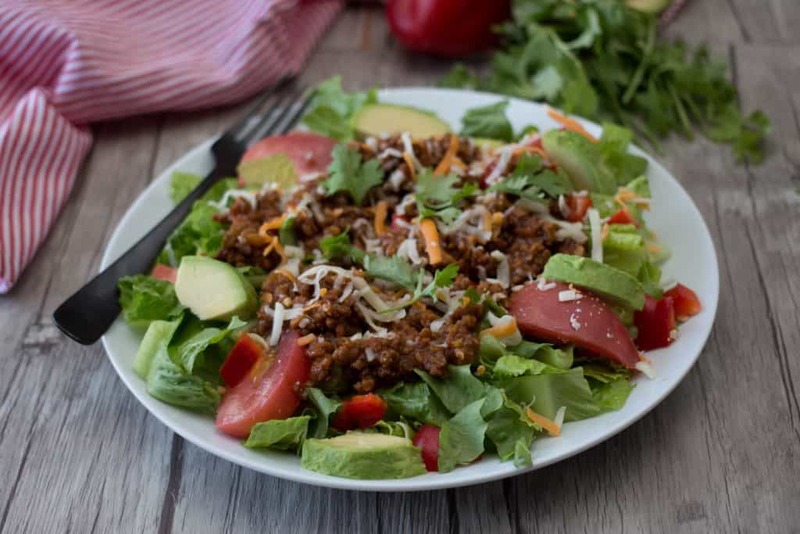 One of the spices you will find in this taco salad is cumin a spice obtained from the seeds of the plant Cuminum, an annual herbaceous plant that has long been used in traditional medicine. Recent studies have confirmed some of the benefits of cumin for health, traditionally known, including promoting digestion and reduction of infections. The research also revealed new benefits, such as promoting weight loss and improving control of blood glucose and cholesterol levels. Last but not least, cumin is also an antiviral that helps the body fight colds, especially strengthening the immune system. This salad is a bit spicy, but feel free to adjust the spices to your taste! In a skillet, heat the oil over medium-high heat. 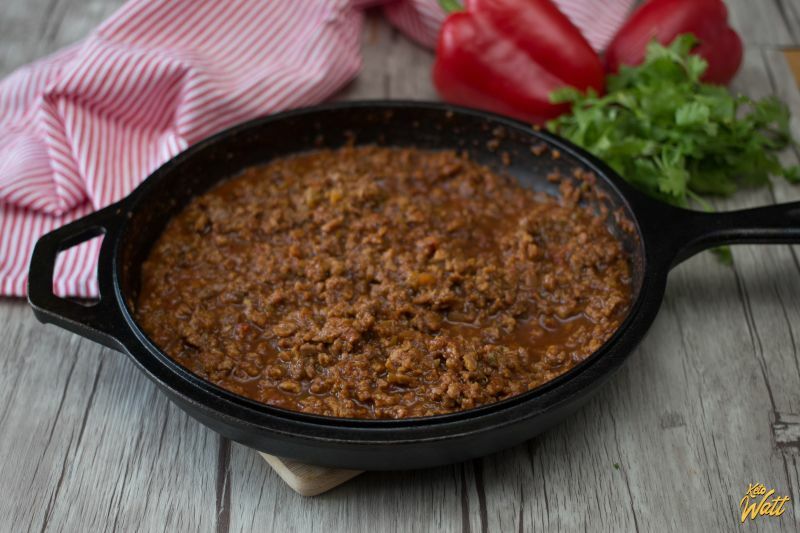 Cook the ground beef for 5 minutes. Add diced tomatoes and the spice. Bring to a boil, then simmer uncovered for 8 to 10 minutes over low-medium heat. During the cooking of the meat, Cut your vegetables and distribute in the plates. Garnish with the meat mixture and sprinkle with grated cheese.